Last night at Daunt Books in London, the Crime Writers’ Association announced the shortlists for their prestigious annual Dagger awards, in several categories. The shortlists provide some interesting double-ups. Resurrection Bay by Emma Viskic appears on the shortlist for the CWA Gold Dagger and the CWA John Creasey (New Blood) Dagger, while A Necessary Evil by Abir Mukherjee is on the Gold and the CWA Historical shortlists. The Edgar Award-winning book Bluebird, Bluebird by Attica Locke is on both the Gold and the CWA Ian Fleming Steel Dagger shortlists, as is London Rules by CWA fave Mick Herron. 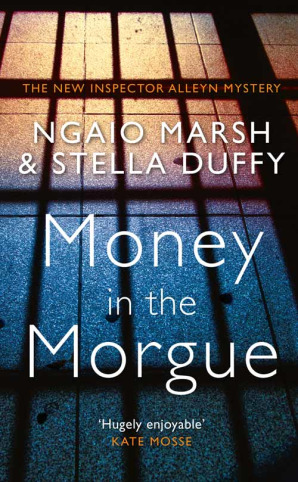 Also listed for the Historical Dagger is Stella Duffy’s completion of Ngaio Marsh’s Money in the Morgue. The CWA Daggers, which the CWA says "are the probably the awards crime authors and publishers alike most wish to win", are awarded every year in 10 categories. The Diamond Dagger, for a career’s outstanding contribution to crime fiction as nominated by CWA members, was announced earlier in the year and will be awarded to best-selling author Michael Connelly at the Dagger Awards event on 25 October. Here are some of the CWA Dagger shortlists for 2018. For a full list of all CWA Dagger shortlists, visit here. The winners of the CWA Daggers will be announced at the Dagger Awards dinner in London on 25 October, for which tickets are now available. Visit www.thecwa.co.uk for more information or email admin@thecwa.co.uk .